The Page 69 Test: "The Queen’s Rising"
I stopped walking. My hand gently removed the vellum, letting it drift to the floor as I stared at the book. The Book of Hours, its title read with embossed gold. I hadn’t even noticed the title on the cover when Cartier had given it to me, so worn and tattered was the book; it had seemed more like a smudge of stardust before. But now, it was strikingly clear. What would I tell him when I returned it? That this crafty little Maevan book of lore had turned back time? No sooner did I think such than did my curiosity sprout as a weed. I flipped open the cover. There was the Maevan publishing emblem, and there was the first year of its print. 1430. And my fingers on the page—the hands holding this book—were no longer mine. 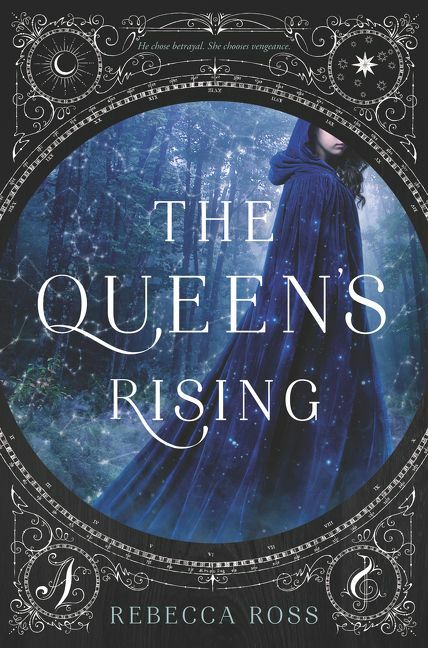 On page 69 of The Queen’s Rising, Brienna begins to experience one of her ancestor’s memories for the first time. This is the driving force that eventually gets Brienna involved with the secret revolution to return a queen to the throne, so it’s a very pivotal moment. The first memory is stirred when Brienna finds herself reading a very old book of lore…the same book her ancestor once owned and read two centuries before her. The action forges a path between them, one that defies time and place, and Brienna suddenly finds herself in her ancestor’s perceptions. "Where the Wild Cherries Grow"